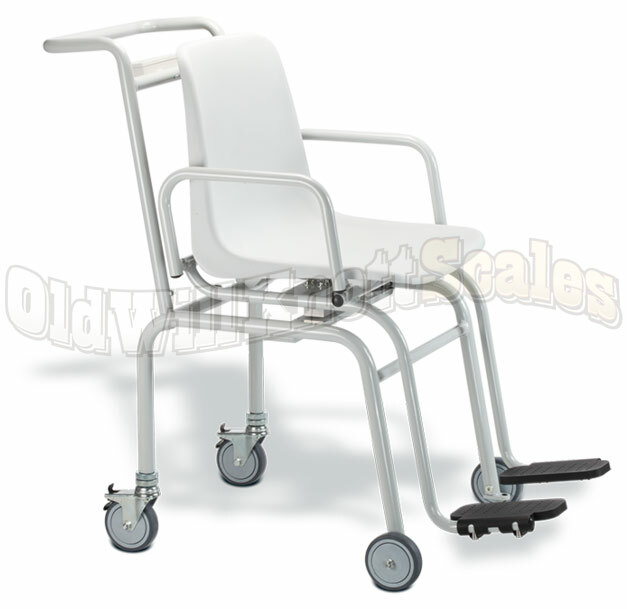 Scale Size 22.2" x 35.3" x 37.6"
Sturdy Arm And Foot RestsThe Seca 952 chair scale has sturdy arm and foot rests that conveniently slide out of the way giving your patient better access to the side. Battery OperatedSeca designed this chair scale to work on common AA batteries. The first set is included and you'll get about 4000 weighings before ya have to change them out. Integrated Weighing SeatYa don't have to stand up to get your weights anymore thanks to the Seca 952. Just have a seat in the chair, your weights will be displayed at the rear of the scale for easy reading by a doctor or nurse. 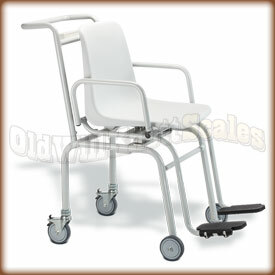 Tare FeatureThe tare button on the Seca 952 chair scale can be pressed to "zero set" the weight on the scale. You can then add more weight, and the display will only show the weight of what you're adding. This can also be very useful for accurately weighing infants that are being held in their parent's arms. Auto Off FeatureThe Seca 952 will automatically hold the weight on the display once it is stable,so you can help your patient off of the scale before recording their weights. The weight reading will remain on the display until the next weighing. Energy Saving Auto-Off FeatureIf ya have ever had the batteries in something run out because you forgot to turn it off, you'll realize what a blessing this feature is. When ya use the 952, the scale will automatically turn off after a few moments of inactivity.